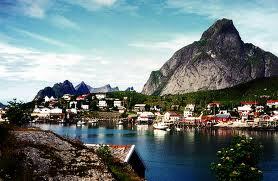 Norway is one of the world’s most spectacular countries, and truly a magical place to visit anytime of year. Due to its relatively high costs, for many it is a once in a lifetime holiday destination. It is therefore advisable to plan ahead for your time in Norway to make sure you get the most from the stunning Scandinavian country. For me, spring is an ideal time of year to visit Norway as you get the best of both worlds. Temperatures aren’t as low as mid-winter and days aren’t as short, plus as it is not high season prices are a little cheaper. One of Norway’s biggest draws; the Northern Lights are often still visible at this time of year, and watching them from the milder nights is definitely more enjoyable than mid-winter. The best areas to spot the natural phenomenon of dancing lights in the sky at night are places out of town, in more remote areas, with the least light pollution. As the snow melts away from low-lying areas, the grass returns to a lush shade of green, and apple blossom covers the orchard trees found throughout the awe-inspiring fjord region. 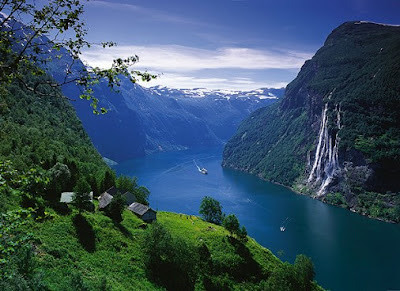 This is one of the most beautiful times to visit the western coast where the majority of the fjords are located, as the deep blue of the water contrasts fantastically with the green sheer slopes of the mountains which are sprinkled with apple blossom, and topped with the last of the season’s snow. Norway’s national day, the 17th May, is a big deal all over the country. Up and down Norway, newly washed streets become alive with parades, people dressed in their national costume, live music and festivities. The buzzing atmosphere is sociable, and with just about all of the population outside, it is a great way to meet people. Plenty of hot dogs and ice-creams are eaten and ample beer drunk. As Norway is the second wealthiest country in the world, prices reflect this. Sadly this does make Norway holidays expensive to many, so avoiding peak times (and costs) are an ideal way to save a bit of money. Spring time is not considered high season, so make the most of it! Not only are accommodation and transport prices lower, but tourist attractions will also be quieter. Year-round, Norway has plenty of activities on offer. One major perk to visiting during spring time is that both winter and summer activities are available. Ski resorts usually remain open until April, but some glacier resorts stay open throughout the year. Both downhill and cross-country skiing are popular in Norway, along with snow activities such as dog-sledding and snow-mobiling. More synonymous with summer holidays; fishing, hunting, hiking, cycling, plus a seemingly endless amount of water-sports are popular too.